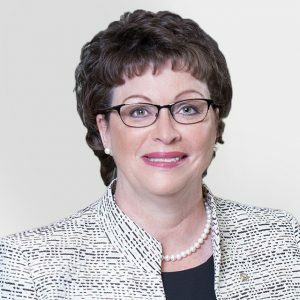 At its Annual General Meeting in Montreal today, the Investment Industry Association of Canada (IIAC) announced its 2018-19 Board of Directors, including the re-appointment of Charyl Galpin, Chief Regulatory Officer, BMO Wealth Management, as IIAC Board Chair, and Steven Donald, Executive Vice-President, CI Financial Corp., as Vice-Chair. “I am honoured to continue serving as Chair of the IIAC,” Galpin said. “I look forward to working with our Board to ensure the IIAC remains an effective advocate for member firms, fighting for efficient regulation and capital markets, promoting capital formation and supporting members with services and resources to help ensure their success,” she added. “Our Board’s experience and expertise will be a tremendous asset as the IIAC continues to lead Canada’s investment industry through sweeping regulatory reform and technology-driven transformation of business operations in response to client demand and competitive pressures,” said Ian Russell, IIAC President and CEO. Click here to see the list of 2018-19 IIAC Board of Directors.